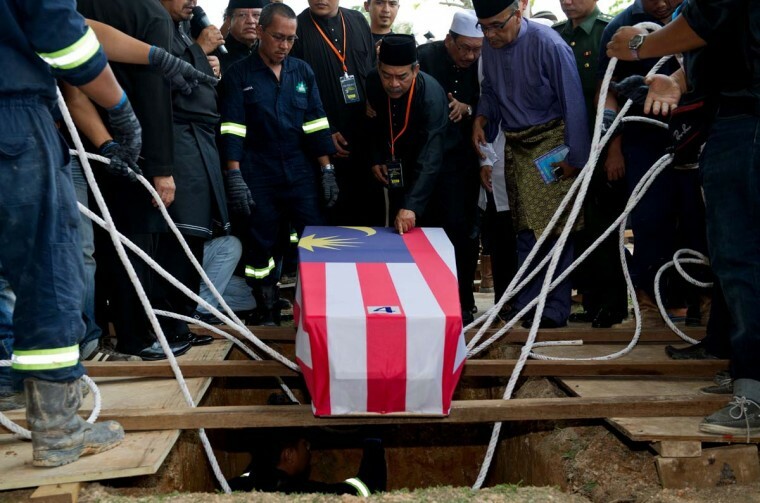 Mohamed Salleh, (C) the father of Malaysia Airlines flight attendant Nur Shazana, one of the Malaysians who perished aboard flight MH17 that was downed in eastern Ukraine, touches her coffin during a burial ceremony in Putrajaya, outside Kuala Lumpur on August 22. Black-clad Malaysians paused for a minute of silence Friday on a nationwide day of mourning held to sombrely welcome home the first remains of its 43 citizens killed in the MH17 disaster. 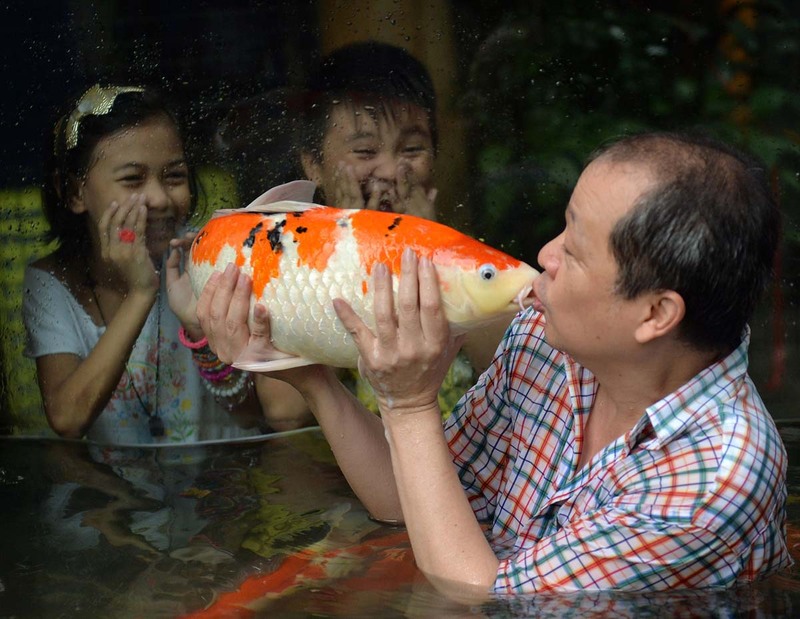 Zoo owner Manny Tangco kisses a Japanese Koi carp, while children look on inside an aquarium at a zoo in Manila on August 22, 2014. The Japanese Koi carps are exhibited as part of the zoo’s attraction. 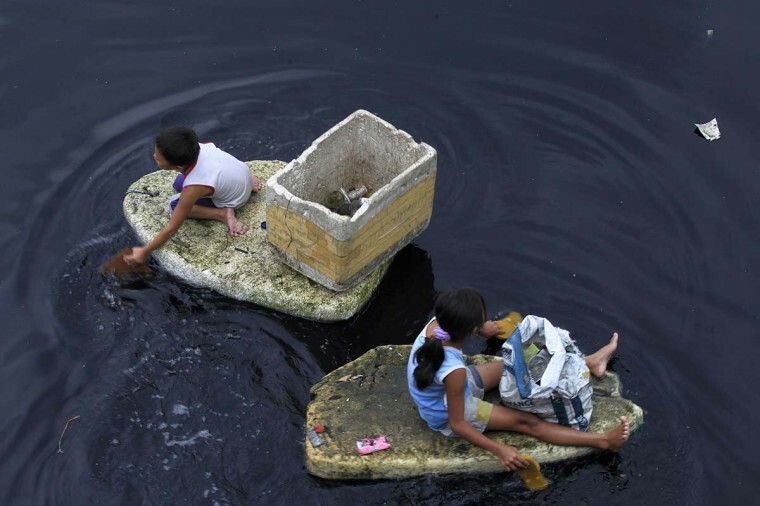 Children paddle, as they use discarded styrofoam as makeshift boats, to collect floating plastic recyclables on the Manila Bay to sell to junk shops for 10 pesos (2 cents) per kilogram, in Navotas City, north of Manila August 22. 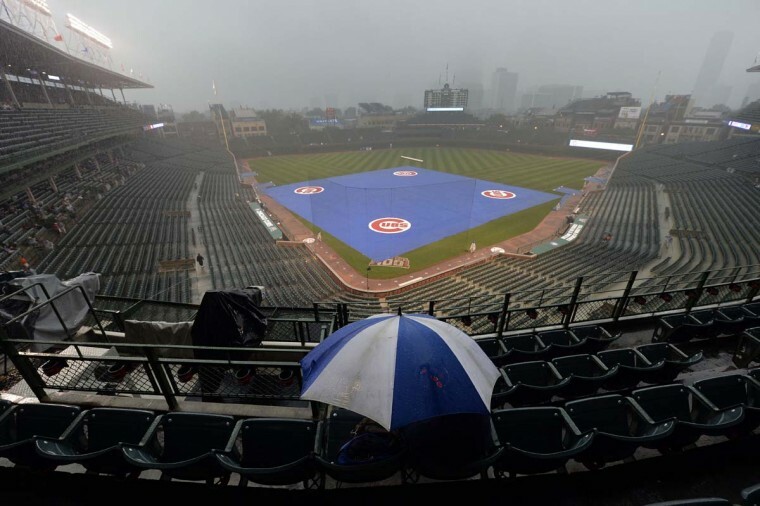 A fan huddles under an umbrella as rain falls, delaying the restart of a suspended game from August 19 between the Chicago Cubs and the San Francisco Giants at Wrigley Field on August 21 in Chicago, Illinois. The game was initially called off in the early morning hours of August 20, but Major League Baseball accepted the Giants’ appeal, ruling the delay was caused by a mechanical failure of the tarp and changing the status of the game from cancelled and completed with a Cubs 2-0 win to a suspended game. 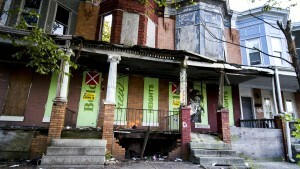 The Cubs and Giants hope to finish the game before their regularly scheduled game today. 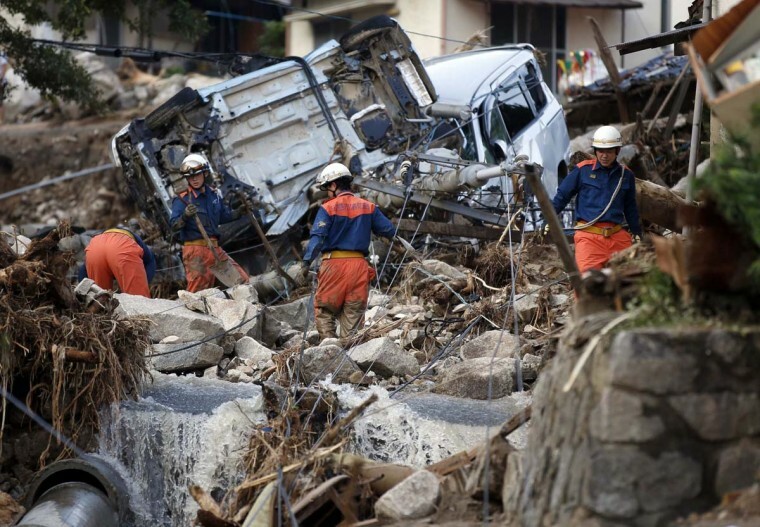 Fire fighters search for survivors at a site where a landslide swept through a residential area at Asaminami ward in Hiroshima, western Japan, August 22. Heavy rain delayed a search on Friday for more than 50 people believed buried under a deadly landslide on the edge of the Japanese city of Hiroshima, as opposition politicians rounded on Prime Minister Shinzo Abe for his handling of the disaster. 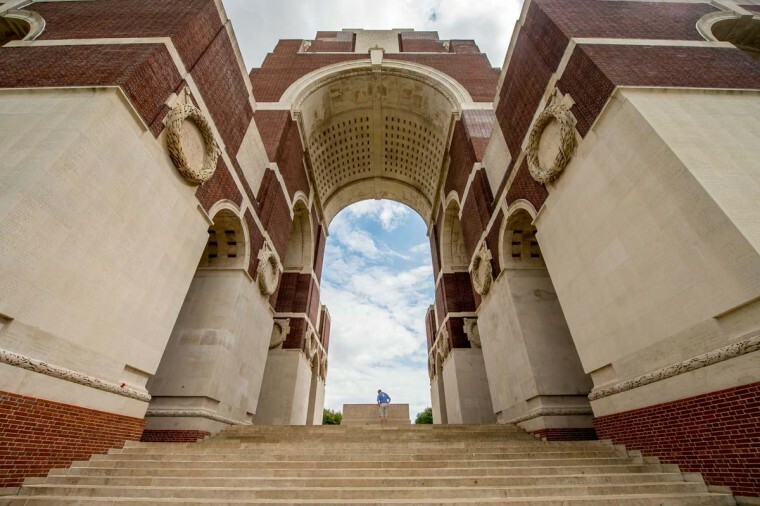 A picture taken on August 21 in Thiepval shows the World War I French-British memorial during the commemoration of the 100th anniversary of the outbreak of World War I, a small Balkans conflict that went global with the German invasion of neutral Belgium in August 1914. 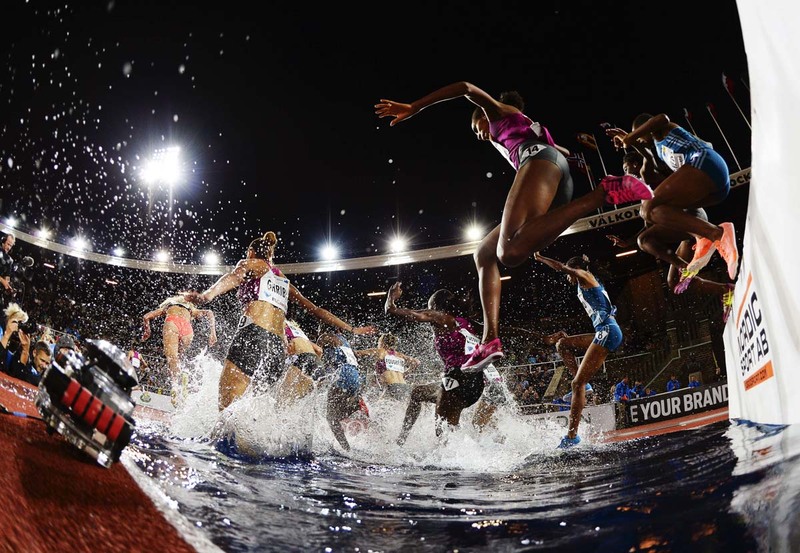 Athletes compete during the Women’s 3000m Steeplechase event during the IAAF Diamond League DN Galan meeting at the Stockholm Olympic Stadium on August 21. 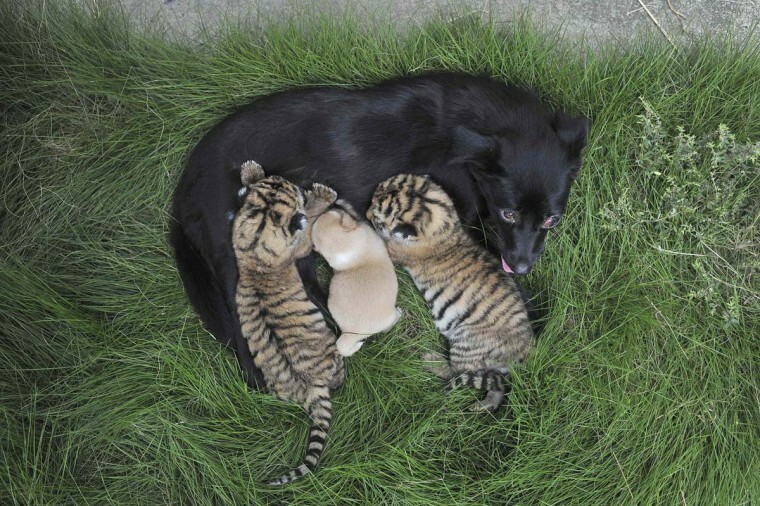 A female dog feeds two-day-old tiger cubs and her puppy at a zoo in Hefei, Anhui province, August 22, 2014. 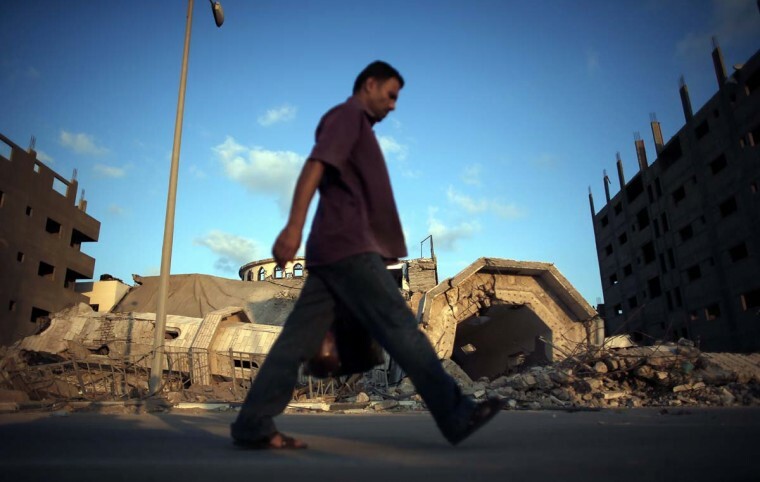 A Palestinian man walks past the destroyed minaret of a mosque in the center of Gaza City on August 21. Three senior Hamas commanders and four children were among 24 Palestinians killed in Gaza as Israel stepped up air strikes on day 45 of the bloody conflict. Aside from the 24 people killed in air strikes, rescue workers also found the body of a child under the rubble who had been killed on August 19, and a man died of his injuries sustained earlier in the conflict, emergency services spokesman Ashraf al-Qudra said. 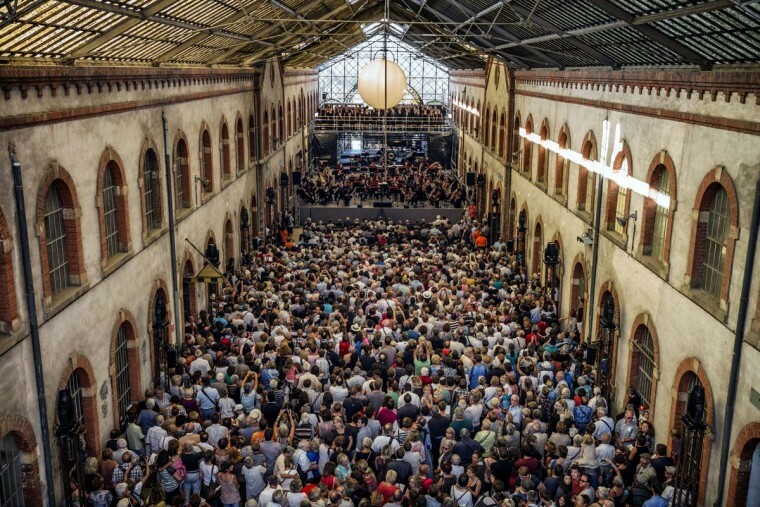 People attend the opening concert of the Berlioz music Festival, on August 21 inside the Girodon old factory in Saint-Simeon-de-Bressieux near La Cote-Saint-Andre, eastern France. 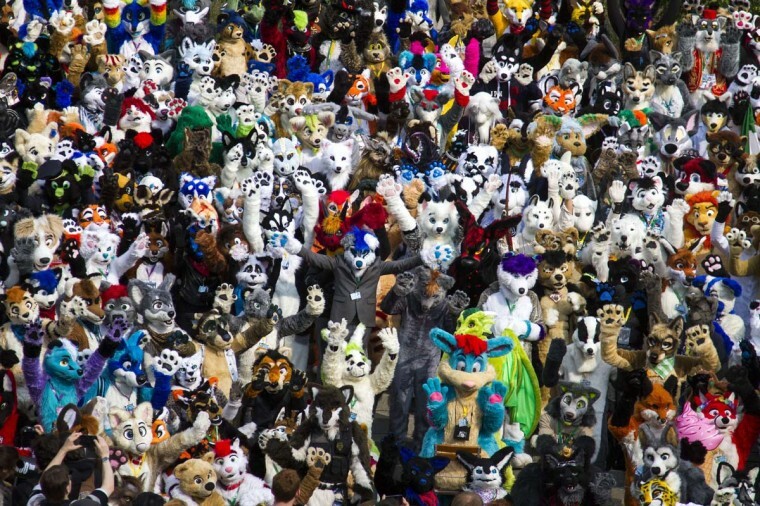 Nearly 1000 musicians and singers will re-play for the first time in 170 years the “Monster Concert” by Berlioz for the opening of the festival which will run from August 21 to August 31. 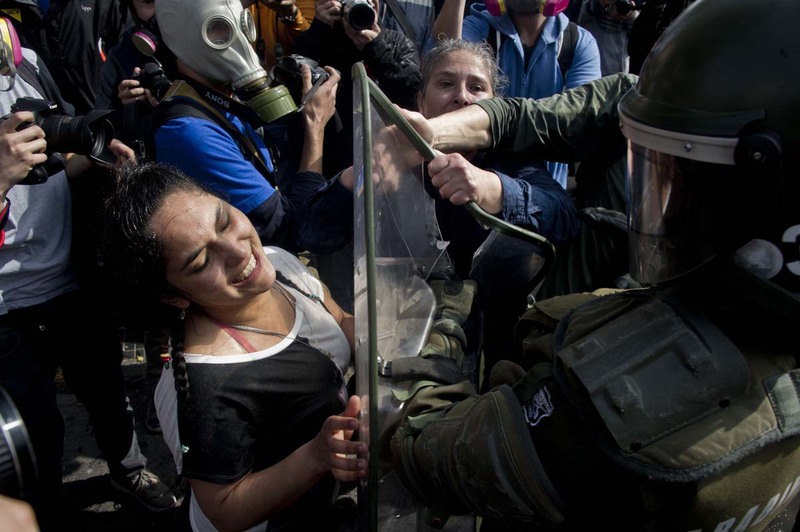 Militarized police arrest a teacher during a protest to demand to Chilean President Michelle Bachelet government to improve the public education quality in in Santiago, on August 21. Bachelet expressed Wednesday her willingness to have free of charge college for 2016, as part of an education reform leading to reduce inequality. Li Lintao sits in a handmade replica of Lamborghini Diablo as he and Wang Yu (not pictured) prepare for a test drive at a garage on the outskirts of Beijing, August 21, 2014. Chinese race car enthusiasts Wang Yu and Li Lintao, both in their 30s, have finished designing and making two replicas of the Lamborghini Diablo, which can reach the top speed of 310km/h, and are currently working on a replica of the T-Rex motorcycle. 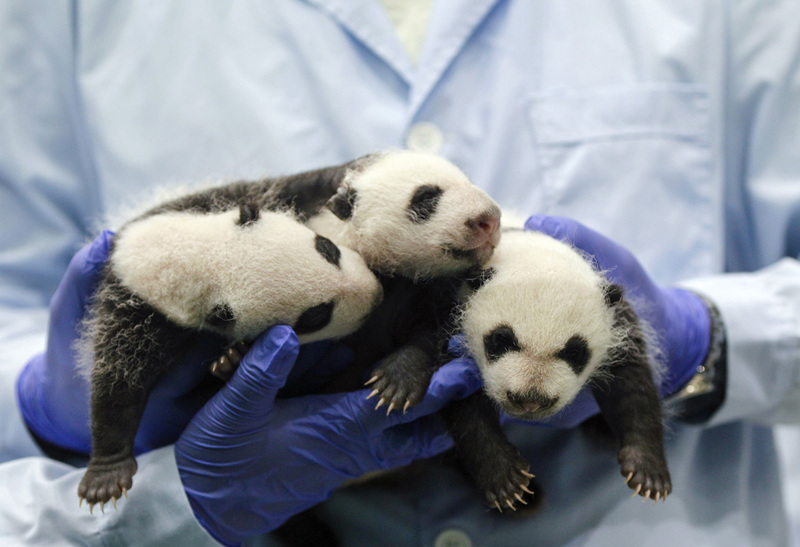 They spent approximately 5 million yuan (around USD 811,899) to buy parts and hire workers, and about 6 years to assemble them with the knowledge they gained from studying mechanology for nearly a decade abroad. 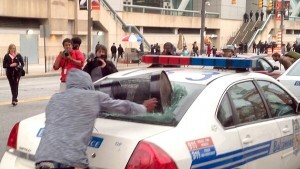 Wang and Li went popular after showing their first handmade replica of Lamborghini Diablo at the Beijing International Automobile Exhibition in 2012, and sold their second Lamborghini replica to Alibaba as a collection. 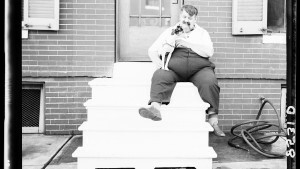 Picture taken August 21, 2014. 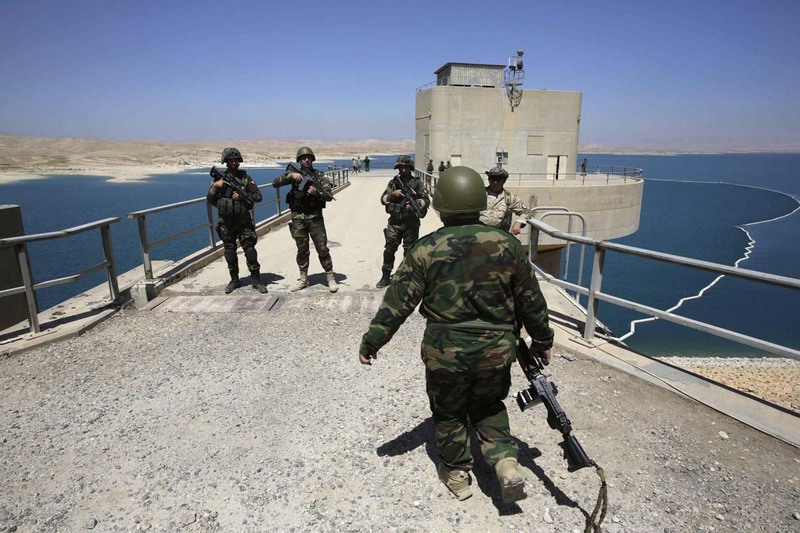 Peshmerga fighters stand guard at Mosul Dam in northern Iraq August 21, 2014. Despite its structural faults, the country’s biggest dam at 3.6 km long, built by a German-Italian consortium in the 1980s, is a vital water and power source for Mosul, Iraq’s largest northern city of 1.7 million residents. 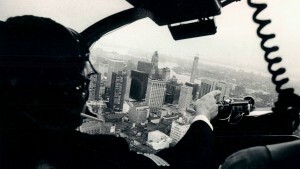 Control the dam and you control the ‘keys’ to the city. With that in mind, Islamic State insurgents who captured swathes of Iraq and Syria and declared a caliphate, wrested control of the dam from Kurdish forces in recent weeks. While Iraqi and Kurdish forces recaptured the dam with the help of U.S. air strikes on Monday, “the most dangerous dam in the world” – as a U.S. Army Corps of Engineers report described it – still has the potential for catastrophe. 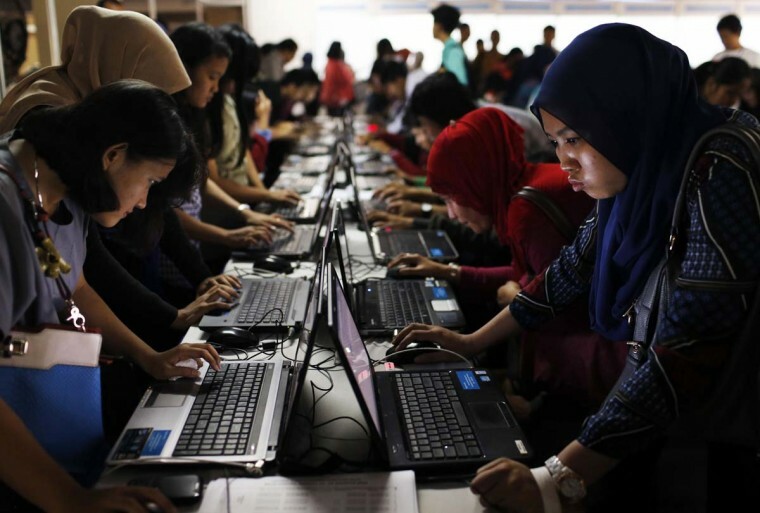 Indonesian youths fill up job application forms on laptops provided by the organizers at Kompas Karier Fair in Jakarta August 22, 2014. 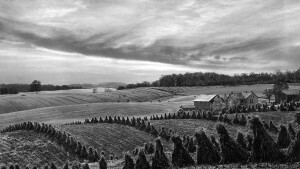 Employment levels rose for the second consecutive month in July, Although the pace of job creation was modest, it was the largest rise in workforce numbers since July 2013.